"Images of December" journeys through this wonderful month of the year, day by day, starting on the 1st of December and continuing through to the 31st. 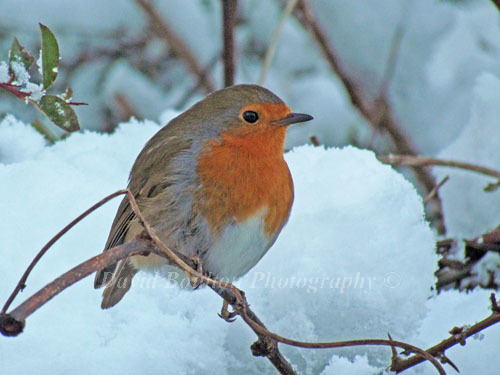 The photography for each day includes, a huge variety of things that can be seen at this time of the year, including Robins, Seals, 1000's of Starlings, Ice Sculptures, Reindeer, Christmas, & Winter landscapes! The talk includes photography of snow, ice, and frost from the coldest December in the UK, when temperatures plummeted to -17c below freezing (in Norfolk) and it was the coldest December in this country for 100 years!